Our vision is to support individual health and the health of the community by providing valuable opportunities that will positively influence dietary and eating behaviors through experiential and nutrition education programs centered on healing foods. The foundation of health is centered on whole foods that promote health while supporting local sustainable agriculture, community partners and local businesses. The Revive & Thrive Project provides delivered meal service to those facing life-threating illness such as cancer while teaching teens healthy cooking and eating skills all while supporting local food systems. 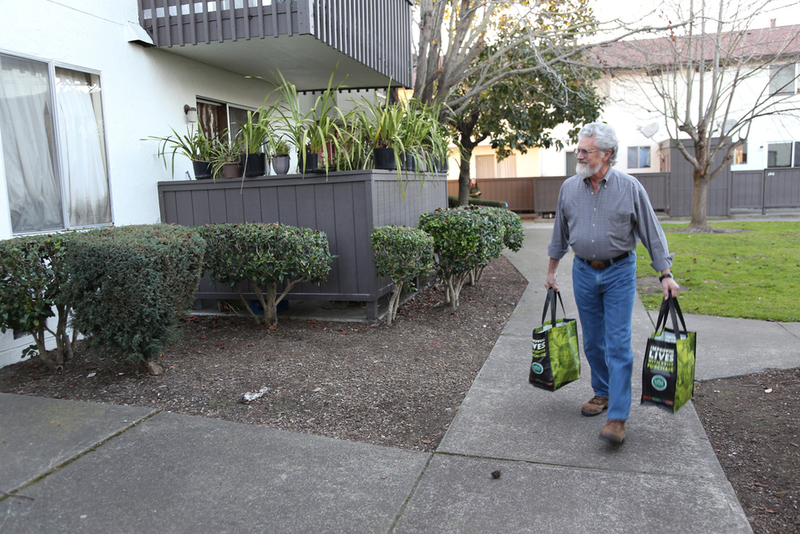 Supporting households who are dealing with serious illness with free, in-home delivered nutrient-rich meals, nutrition education, and a community of support. Youth are a vital part of our community. Culinary programs empower teens through leadership and skill development while also allowing them to experience the relationship between food, health, and the power of serving and nurturing those in need. Educating our local community about the synergy of fresh, healthy, organic food, strong social networks, local sustainable agriculture, healing and wellness. Providing an intergenerational and multicultural program to connect people from all walks of life to one another as an integral part of the community. We bring teenagers and clients together in a way that benefits both in more ways than can be observed. Teenagers often make their own food choices yet face several barriers in achieving healthy food habits. Teens who are involved with cooking and nutritional education discover that healthy food can be nourishing, tasty and easy to prepare, while also learning about the powerful relationship between food and health. The Revive and Thrive model of service elevates teens from learners to nurturing leaders; a position that provides leadership lessons and esteem building experiences that can benefit all aspects of their life. 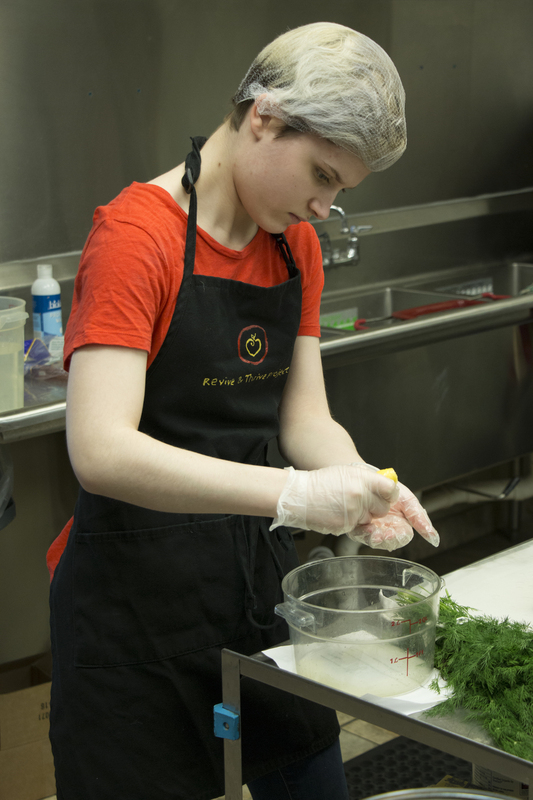 No experience is necessary to join our Teen Chef program. We meet at our Heartside kitchen on Wednesday after school to prepare the meals for our clients from 3:30 - 6:30pm. In the summer months, we meet from 10am - 2:30pm. So that we can plan for our families in need, we request a minimum of a 12 week volunteer commitment. Space is limited so contact us to check availability. Healing Meals: Nourishing meals during the treatment of life-threatening illnesses can make a vital difference to patients. They can easily become malnourished as a result of treatment. This in turn can increase to side effects, reduce the effectiveness of treatment, and lengthen recovery time. Those facing life threatening illnesses will receive delicious, nutrient rich meals at no charge or low cost for themselves and their family. 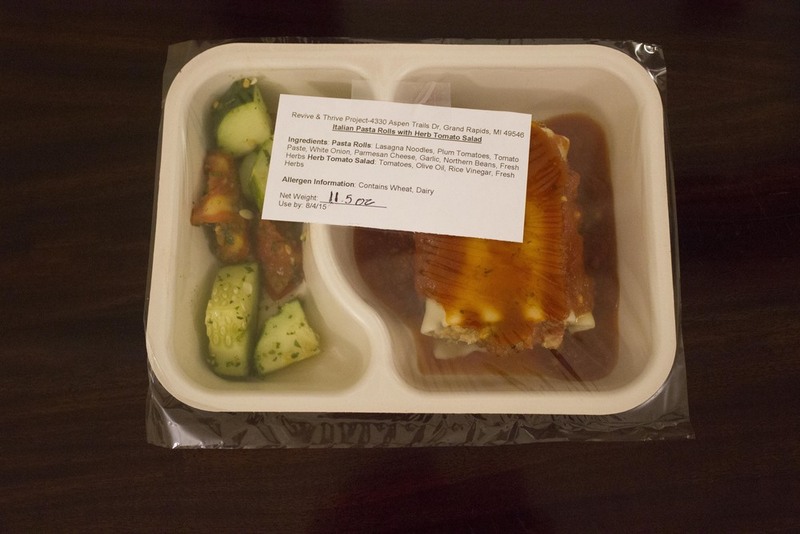 These delivered meals provide vital nourishment when every bite counts. This significantly relieves stress on the entire family and caregivers from the daily responsibilities of preparing meals, educates clients and their families about healthy food choices and promotes positive eating behaviors. 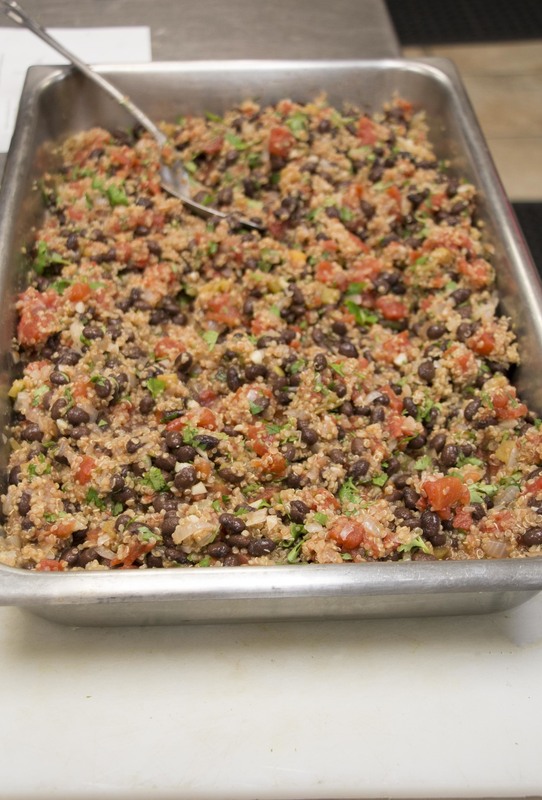 Meal Service: Our meals are prepared with whole foods that are fresh, organic (whenever possible), seasonal and local to insure that the freshest and most nutrient rich whole food is available for our clients. We embrace the American Institute of Cancer Research’s healthy plate format, with 2/3 of the plate consisting of plant-based whole foods. - Each person receives 4 entrees (two vegetarian and two with meat), 1 quart of soup, hearty salad and a healthy dessert each week. The client will also receive 1 quart of immune broth each week and bread products from Little Rooster Bread Company when available. 6. Lives in the Grand Rapids area with a Grand Rapids address. We can occasionally make exceptions for the nearby surrounding area if we have room in the program and meals can be picked up. Someone must be home for meals to be delivered. To check availability and request becoming a client, please fill out the form on our Contact Us page.